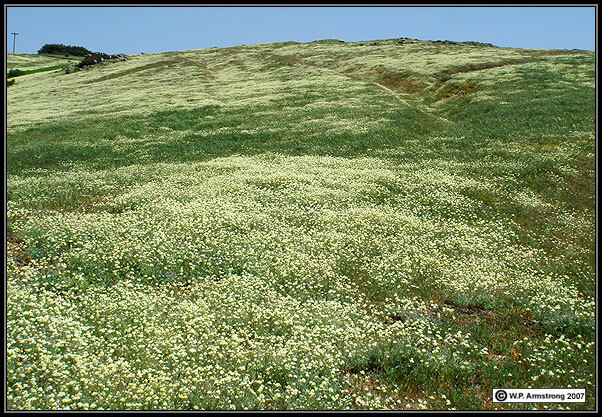 Creamcups (Platystemon californicus) near summit of Volcan Mountain. 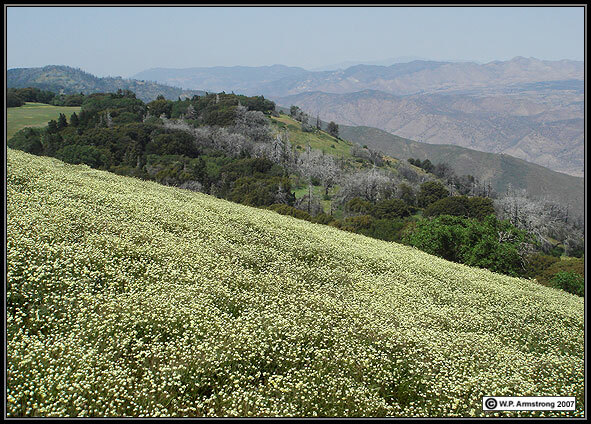 Creamcups and summit of Volcan Mountain looking north toward Ranchita. 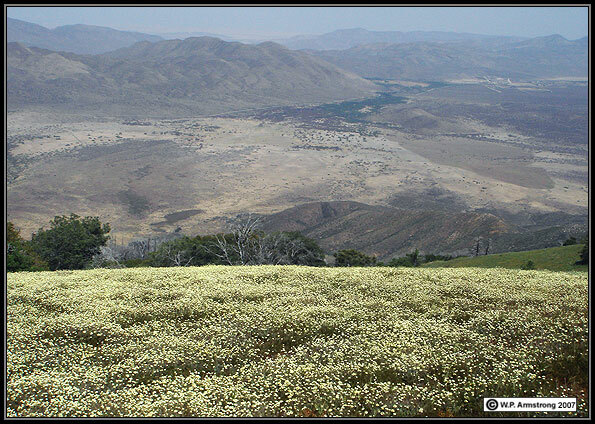 Creamcups and summit of Volcan Mountain looking east toward San Felipe Valley. 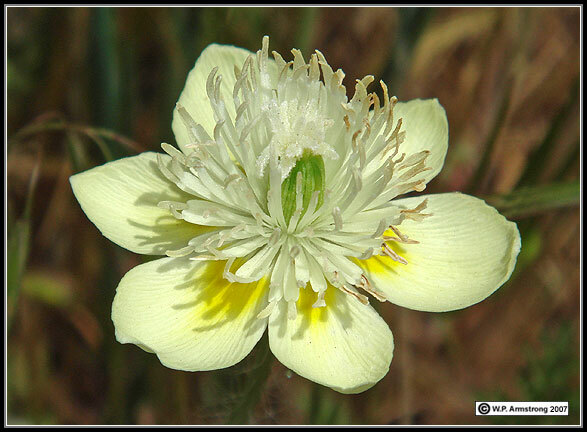 Creamcups (Platystemon californicus), a member of the poppy family (Papaveraceae). 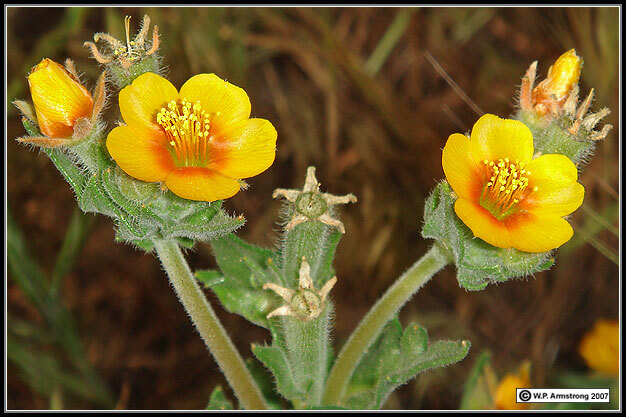 Veatch's blazing star (Mentzelia veatchiana) near summit of Volcan Mountain. 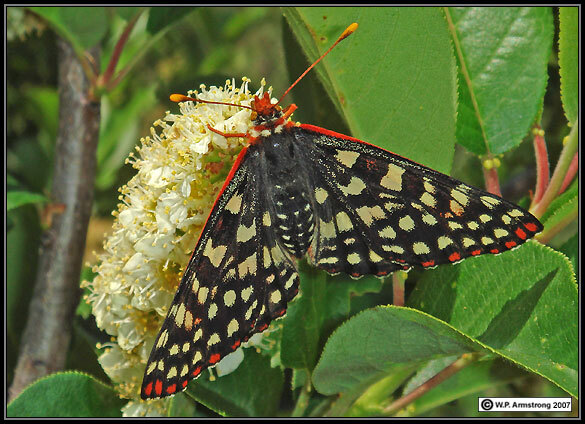 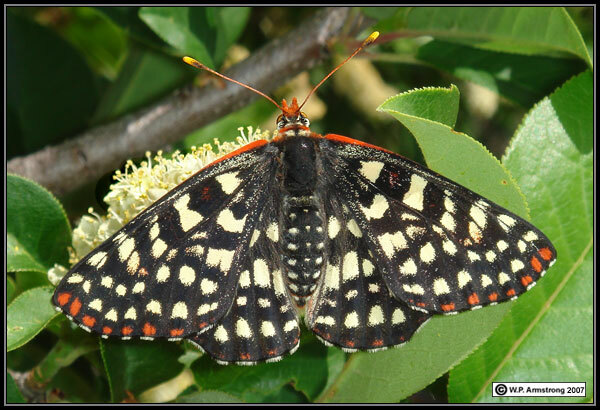 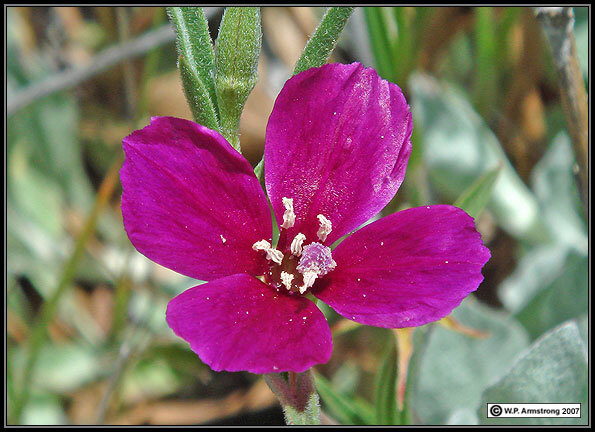 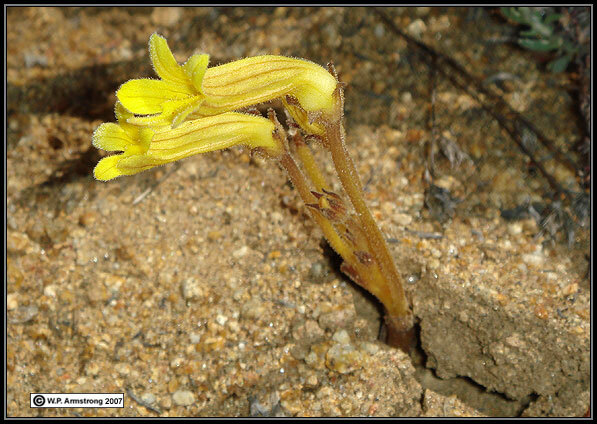 a beautiful species on the grassy slopes of Volcan Mountain. 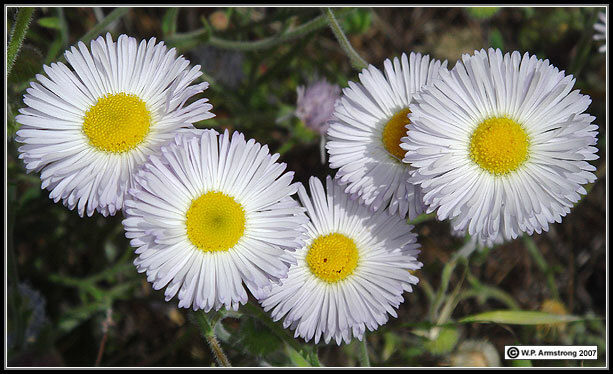 Leafy daisy (Erigeron divergens) along the trail to Volcan Mountain. 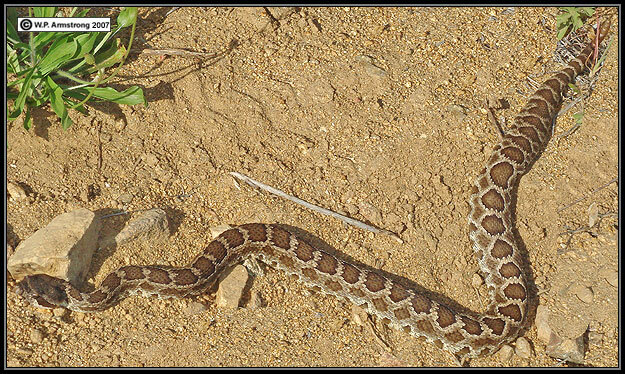 Crotalus viridis directly in Tom Chester's path while descending Volcan Mountain!